A mural celebrating Steveston's connection to the fishing industry has been unveiled. Twelve panels on the building speak to Steveston's fishing present as well as its rich fishing past. 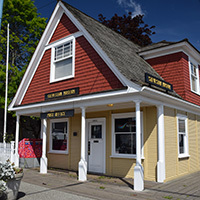 Welcome to the Steveston Historical Society website! 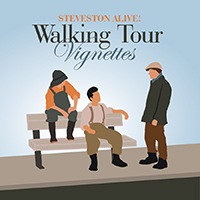 Our Society has been in place since 1976 to preserve and promote the history of Steveston, British Columbia. MembershipBecome a member and help our mission. Upcoming EventsFind out what events are coming up. Who we areMeet the Board of Directors and our staff. Capture and document our events and programs in the community with your skillful photography. Help us promote our mission and our organization with your advertising expertise. 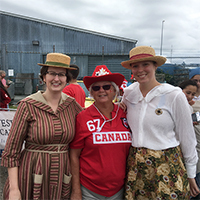 Our work depends on generous contributions from many community and corporate partners. If your organization is interested in helping us, we would love to hear from you.